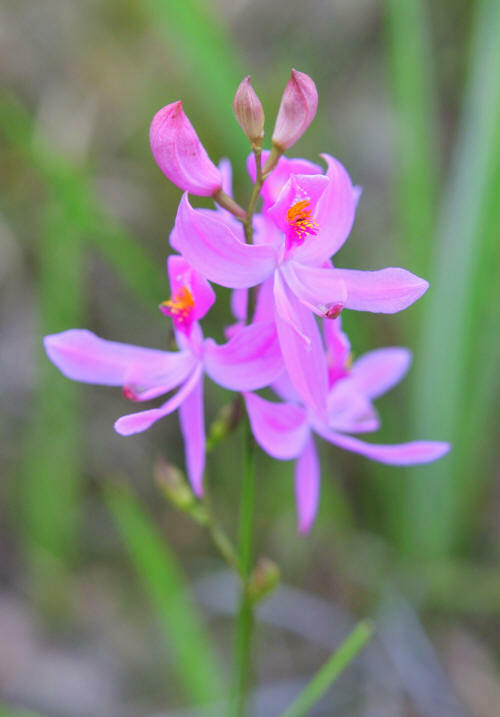 Calopogon multiflorus adds color to the Alabama grassland. 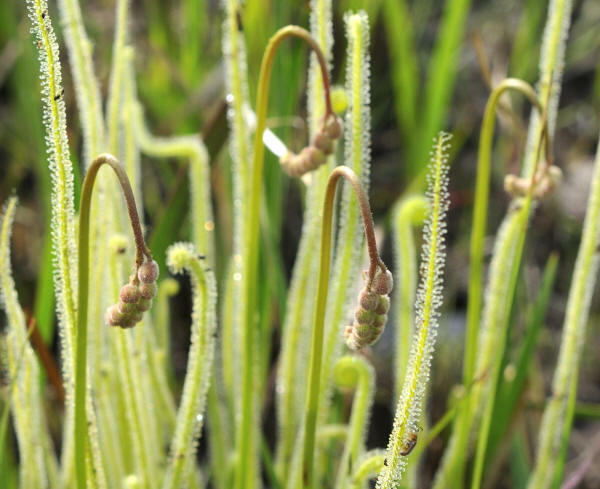 Drosera filifornis sprouting new glandular leaves. Large, pink flowers will blossom in a week or so. 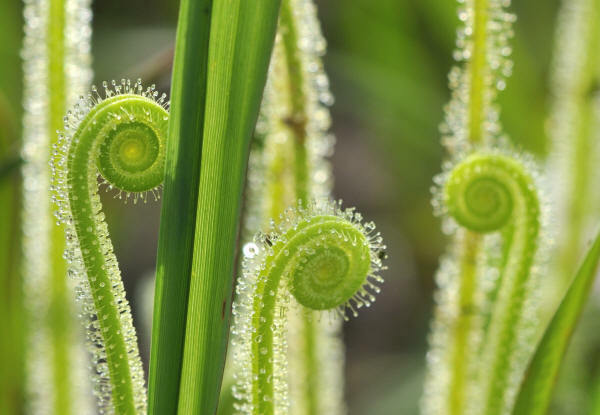 The "compass" nature of the flowers is already manifested in the precise alignment shown in the curling orientation of the flower stems. 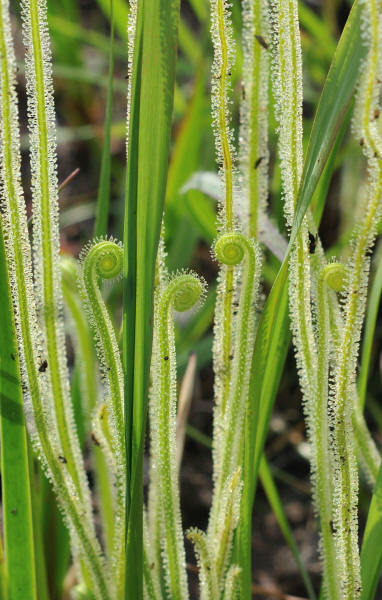 Light-green glandular leaves of Drosera filiformis var. trayci.